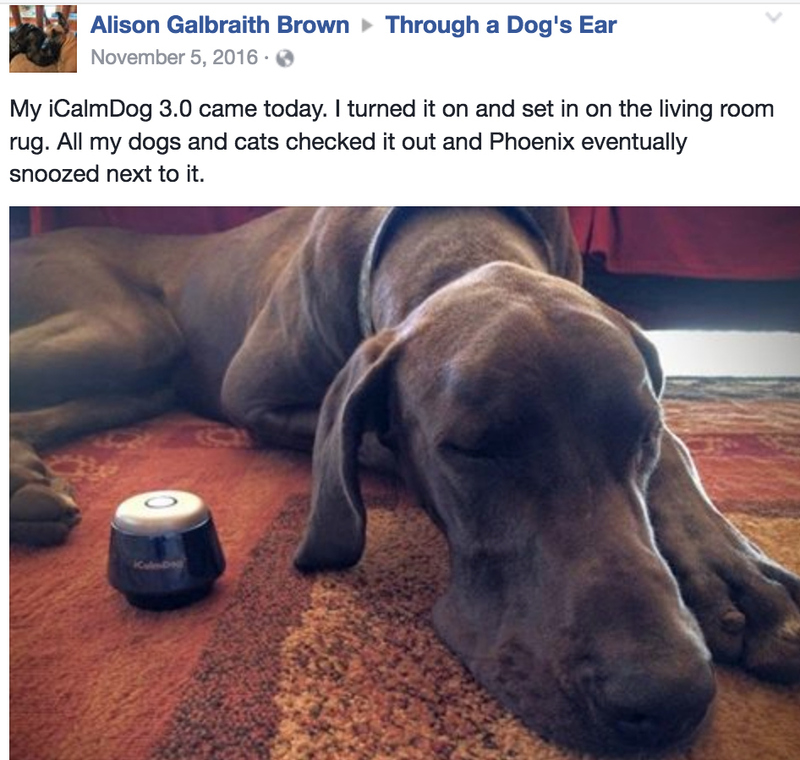 Home / General / Win an iCalmDog… Proven Canine Sound Therapy! Click to view a full summary of survey results. Want to win an iCalmDog? Already own an iCalmDog 3.0 and want another? (Did I mention they make great gifts?) Post a review on the model you purchased at iCalmDog.com or on Amazon, if purchased there. The winner will be announced May 11 in a future blog post. (Make sure you’re a subscriber!) Good luck and remember to use hashtag #iCalmDog so I can easily find all your social shares, posts, and comments! Paws crossed for you and your pups! 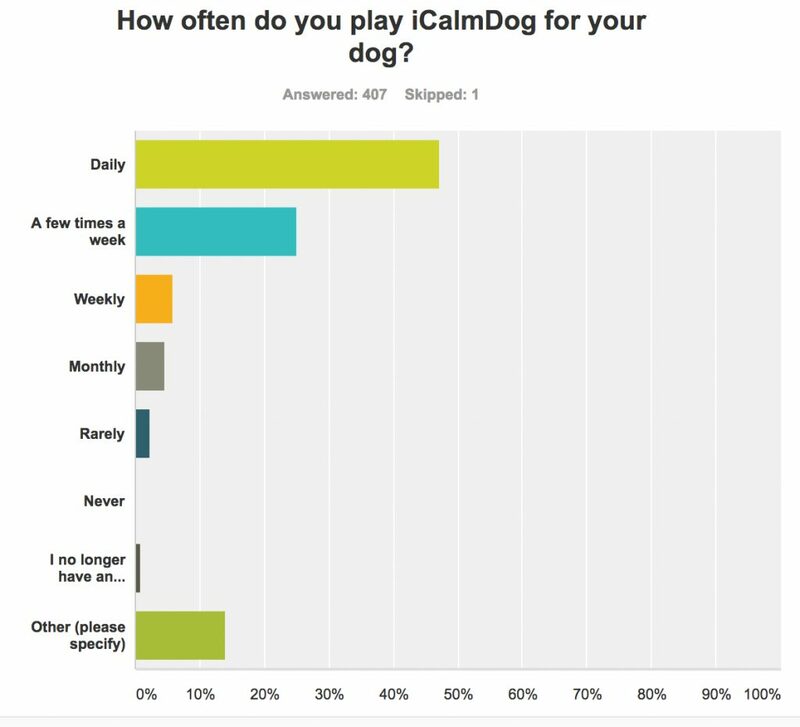 I’ve been using iCalm Dog for many years now, it helps greatly in calming the dogs that I’ve rescued, who naturally feel stressed when first coming to live with us. It’s amazing how effective it is in relieving the stress of a new environment especially to animals who’ve been maltreated in the past. I used to use music with my dog all the time whenever I could “plug in”. This is an amazing new idea! My dog left me her “puppy” which is actually feline and I know that she would benefit from having music at the vet’s office which is especially stressful for her. She’s always calmer in the car with music but then we get out and back to stress. If I’d had one when my darling dog first came to live with me, it would have been invaluable. She’d had five owners before me and she arrived pent up, distrustful of people and other dogs. I was at my wits end. It was only time and a long, difficult journey that allowed her to trust again. She was my best friend for fourteen years and she was loved to bits by me and my two kids. I lost her a year ago. I miss her so much; she was irreplaceable. I am, however, looking for a new friend and your doggie calming method will ensure a smooth transition into my home, for a new pet! What a great idea to take an iCalm Dog with me in the car and then use it while visiting friends and family. Our little rescue Roxy, will then be able to relax and not stress out thinking we are going to leave her behind. I love to take her to visit my Dad, but when leave her to go to lunch for an hour, we return to such a stressed out little Roxy. It would be nice to have an iCalm be her friend while we are away for that short time. I have two rescues both of whom are hyper and after reading the reviews, I feel this is just the product for them. We would use the iCalm Dog for our awesome black Lab Bernice. She is the best dog we’ve owned! She is very much a people pleaser. So when heavy rain &/ thunderstorms hit, I feel so bad for her. I just want to wrap her up next to me & console her. But kind of hard to do I have found a couple of things that seem to help, but after seeing the video of the barking Collie, I truly think she would absolutely love it!! I’m impressed with the survey. I need to buy one for my rescue fur baby who has trouble going to sleep at night. A couple of years ago I donated a set of your CD’s to our local shelter and I’m sure those lost and lonely animals loved it. If I won an iCalm Dog, I would do the same for the next town over! We purchased the iCalm Dog at the recommendation of the behaviorist we are working with and have seen great results! Our pup Maggie is on prescribed medication to help her cope with her anxiety issues and extremel noise sensitivity. We have been able to use less medication since we started using the iCalm Dog and expect we will be able to stop medication altogether at some point. It is wonderful to take to vet appointments and just to have in the car to block out the traffic noises. We are so thankful to have it! The music that I hear is very calming to animals and humans of all ages. It helps everyone and every animal get a good nights sleep or just relax. It is real good to calm children too. You can’t go wrong. I hadn’t heard of iCalm Dog before, but after reading about it, I sure am anxious to try it! I’ve been waffling about buying an iCalm Dog for my noise-sensitive girl. For the most part simply leaving the classical station on in the basement for her is working, but wouldn’t it be wonderful if she didn’t feel the need to hide in the basement at all?!? I have a Bullmastiff with severe anxiety when it thunderstorms or there’s loud noise. 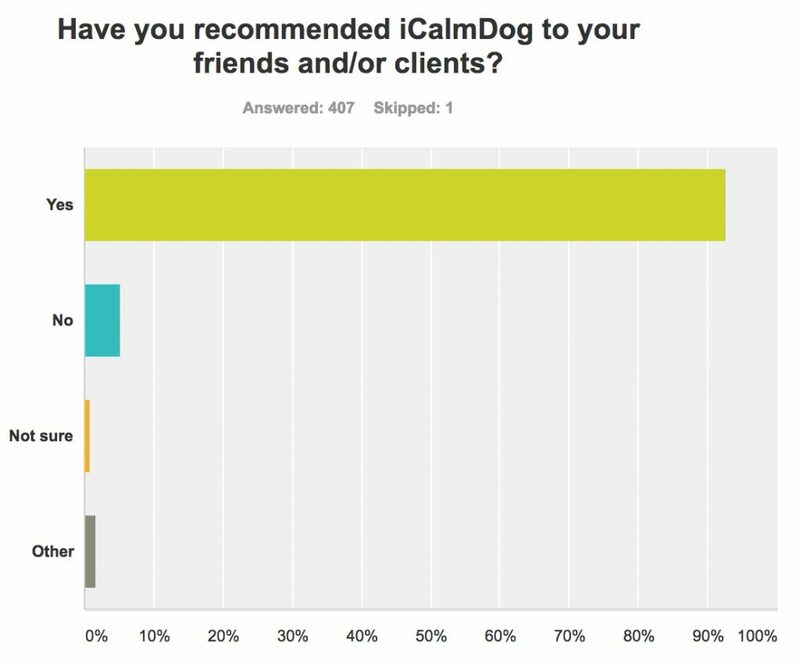 I use the iCalm dog at least 4 days a week with my own dogs and have incorporated it into my canine massage business as well. I have had many clients ask me where to get one for their home. I have a Maltese that is literally scared of everything…loud noises, thunder, car rides, and even the “ping” from my cell phone when I get a text. I really think iCalm would be very helpful in easing his anxiety. I work out of my home and my dog is in my office with me; I would certainly keep it on in my office and would even take it in the car! Music does sooth the savage breast/beast in all of us. Music does sooth the beast in all of us and should be shared. I would like to win this for my sister who looks after 3 dogs 5 days a week for family. I think my Daisy would enjoy the music. I am so excited that there is a solution to our pup’s challenges that doesn’t involve medication. I had a dog years ago with thunderohobia who fell off of the couch because he was prescribed a strong anti-anxiety pill. My present fur babies have similar issues; one has weather-related anxieties where she cowers in the bathtub and pants. My new puppy is a barker (Border Collie mix) she barks at anything that moves. I’m hoping the icalm addresses both!! Dalton grew up during the time we were in a four-year drought, so he wasn’t acclimated to thunderstorms. We believe he endured a bad storm while we were on vacation. Home during another storm, he was freaking out, and we realized he had never been like this before. I started researching ways to help him. We bought the little shirt for him, but it didn’t help. He paced, he drooled, his panting and breathing were so heavy I was scared for him. Finally, I found iCalmDog and hoped for the best. It has made a huge difference for him. The worst of his reactions have ceased but he still wants to be next to me until the storm is over. I always forget to put it in the car, so I’d love a second one for vet and groomer appointments. I bought an iCalm several years ago and use it daily. Unfortunately, the speakers are blown when I try to play the cards but works for the radio function. Thus, I would love a new iCalm so I can play the cards again for my dog, especially during storms. My dog Molly is an incredible dog. She is extremely calm EXCEPT during thunderstorms. She can hear them before we do and immediately starts seeking comfort. I travel for work and my husband works outside the home so every time I see a thunderstorm moving through – I think “Oh my poor Molly – all alone.” So I would use iCalm anytime I’m not at home with her. Want to win this! My young dog is terrified of thunder and won’t go outside to potty until the storm passes. Would hope this product will help her. rescue and will be going to pick her up next week this will be just perfect to put next to her on the way home. I also have your CD’s and know they work wonders, especially on the 4th of July. I have shared this info with my neighbor who has a dog afraid of thunder. In the beginning I purchased several of the CD’s for riding in the car, calming, elderly and volume 1. We played them mostly for riding in the car and sometimes at home when she was left alone for a period of time. The music was very soothing and calming. I would love to be gifted an iCalmDog 3.0, it would sure make having the music handy wherever we go and less lugging around equipment to play the cd’s. Thanks for considering us. I have two weimaraners which are high energy dogs and I foster dogs. An icalm would be very helpful in making the foster dog feel at home and relaxed when transitioning to a new environment. I have an older iCalm that I use in my group classes to help provide a nice and calm atmosphere for dogs. It works wonderfully in my fearful dog classes and my reactive dog classes but the difference for puppy classes is also quite noticeable! A second iCalm would allow my personal dogs to utilize an iCalm more often and make sure I always have one charged for classes. I often forget my iCalm in my training bag or in my car so my own pups only periodically get to utilize the calming sounds during the day or when we trial at events. I know they’d love not to be cobbler’s kids for once! I have been a volunteer at the Penna. SPCA for over 40 years. I work with a lot of scared and shy dogs who would really benefit from iCalm. I have a fearful dog (fear of strangers) and wonder if this would help him. I would love to take him with me when I take the other dogs and would love to receive the iCalmDog 3.0, hoping this would make him more comfortable when strangers are around. I have volunteered at the Penna. SPCA for over 40 years. I work with a lot of scared and shy dogs who would benefit greatly from iCalm. We would like to have an iCalmDog in each of our foster homes. When we get dogs in from shelters they are usually pretty traumatized. We are currently using aromatherapy, but feel the iCalmDog would help immensely to help our dogs integrate into their new foster homes. Thank you for this opportunity! We would love to have an iCalmDog in each of our foster homes. When we get dogs in from shelters they are usually pretty traumatized. We are currently using aromatherapy, but feel the addition of the iCalmDog would help immensely to integrate our foster dogs into their new environment/foster homes. I play one for my dogs whenever I leave the house. they all settle in and begin to rest. I have played the shorter CD for acupuncture patients (human) and they love it. Border Collies are simply wonderful dogs, but they are high strung, I would love to have an iCalm for when we take to class, or in the car with us. She loves her training classes, but does not like waiting her turn. Something like this would be a wonderful addition to our routine. i foster dogs and the transition can sometimes be difficult for them. 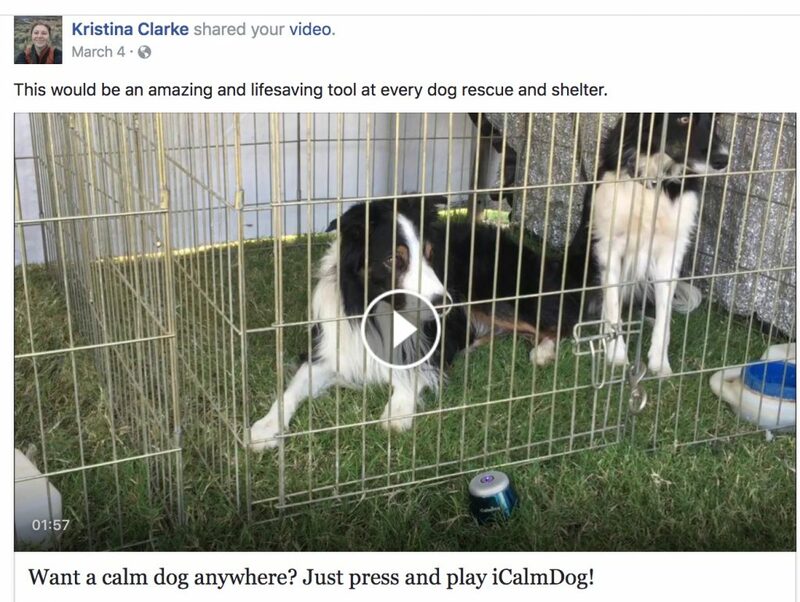 having something like this that could soothe an entire group of dogs would be amazing and could help them settle into a new routine, to be ready for a whole new life as a happy adopted dog! I also play Lisa Spector music on Pandora for my dogs. They love it, and it works! We use the iCalm Dog whenever we travel and in the hotel room. We also use it whenever there are strangers moving around in the house, suspicious noises, or any particularly stressful circumstances. I have played the same music through my phone in emergency Vet waiting room for a grateful crowd of humans and dogs. I have a golden doodle that has become very anxious on roadtrips (beyond her welcomed 5 mile radius) and truly hates storms. I have found classical music can be soothing during storms. I would love to take a try at the iCalm when traveling to the Midwest during all of their storms (I cannot get my dog out of the bathroom when their are storms). 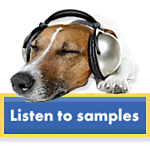 I have been using and recommending the music CDs to my dog training students for years . When I bring a new dog home, I use it to help them settle in and feel more comfortable. 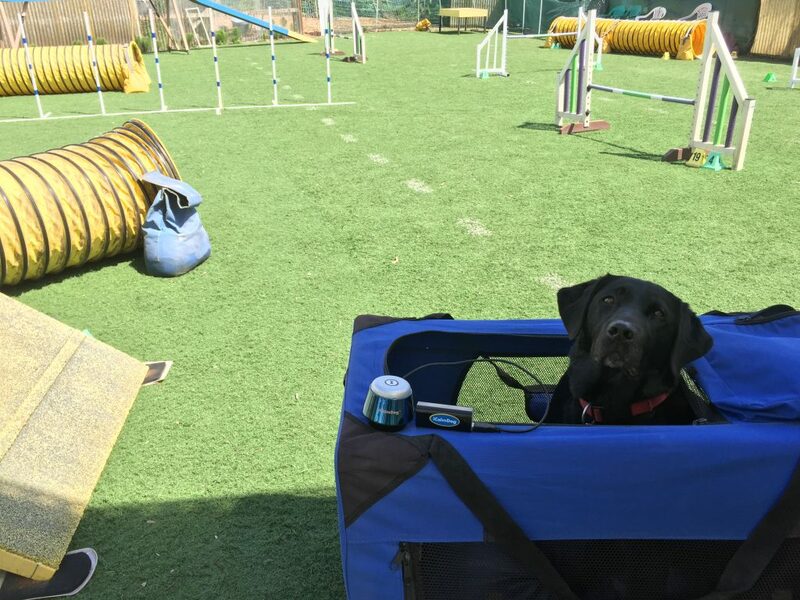 If I had the portable Icalm, I could use it at puppy clases, at obedience and rally trials and take on vacation to help dogs feel more calm and comfortable. I have to leave 2 recued dogs alone from 6:30 AM – 3:30 PM. One seems to have separation anxiety & gets into everything. Even keeping him in the kitchen doesn’t stop him. I’m sure the music would be just what he needs! With the thunderstorm and fireworks seasons here, Buddy could really use an iCalm to help him get through it. I foster rescued dogs and the iCalm helps them so much. They are usually pretty stressed by the time they come to me but within a short period of time with the iCalm, they are relaxed and settling in beautifully. My dog needs the icalm, but I can’t afford it. Our rescue dog Holly experiences anxiety while we are outside walking. She barks at bikers and other dogs to the point where I have to be ever vigilant and ready to turn in another direction if I see a possible threat coming our way. We’ve tried many things to help her feel calmer while walking, but so far nothing has worked all that well. I’m wondering if we could use the iCalm while walking. How fun it would be to try it out. Thank you. My dog struggles with anxiety and over arousal. I would love to use it at home and take it in the car when traveling and when visiting (which we rarely do because of his stress levels). 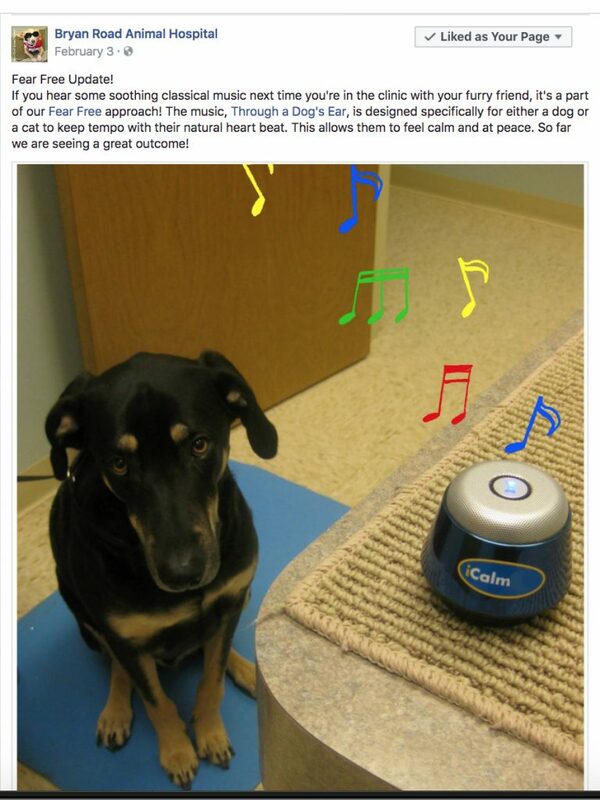 We love the Through a Dog’s Ear music and would adore an iCalmDog! My reactive Chihuahua/German Shorthaired Pointer hates noises and would rather bark the day away than settle comfortably, until Lisa’s beautiful classical music comes on and the whole room relaxes and he just melts right down to serene. My dog has extreme anxiety & is on meds. Her icalmdog is on from when we wake up until bedtime. We take it on walks, to work, visiting & the vets. Our Veterinarians already use the dog & cat calming pheromone and they use a lot of natural healing methods when possible. I would love to be able to give them an icalmdog to aid in making going to the vets a calm experience for all their patients & people too! With July 4th around the corner, my dog could really use this. The sounds of the fireworks puts him in great stress. Thanks for the info on this product. We love the Through a Dog’s Ear CDs we have. An iCalmDog would be wonderful for my dogs and cat on the days I am away at work. But if I won one, I would either donate it to my local animal shelter where we also took our dog for puppy classes and other classes–they are wonderful there and do so much good work OR to my vet–I wonder if it might be just the thing for a recovery room or a waiting room or wherever they might think is best. An iCalmDog 3.0 would help our 2 rescues deal with thunderstorms a bit more calmly. In addition, I work with prison inmates training puppies for eventual service dog work – the iCalmDog 3.0 will be an additional tool we can use to work through separation anxiety, encourage calm behavior amidst excitement / distractions, & sleeping through the night. Thank you for this opportunity & we look forward to winning an iCalmDog 3.0! I love your products and so do my rescue dogs and cats. I have several of the dog cds including for my senior, in the car and relaxing, also Through a Cats Ear. Thank you for making so many wonderful options for my furry family. Our iCalmDog was invaluable when we moved with the dogs from a quiet house in the countryside to a village by the sea. I also use it at my dog training classes to help the dogs (and owners) settle and relax. If I win I’d like to donate it to Dumfries & Galloway Canine Rescue. I LOVE the Though a Dog’s ear CD. I one for home and one for the car. Would LOVE to have an I Calm to put near my dog’s crates at agility trials. I wish I knew this would work. I have tried so many things for my dog’s separation anxiety. I just don’t know what else to do. I did purchase one of the CD’s, but haven’t found much success with that. If I knew this would really calm her. I would not only be able to use it at home for when I go to work, but I could take it with us on the road to agility trials and vacations! I have use the iCalm in my car to help relax my two pups that are not big traveling fans. I use it in my house to help soothe both my pooches and myself. I use it at clinics while my dog rests in her crate. I used iron the helping box to soothe momma dog and CC puppies so that it could be used by their new owners to take them home and to help them adjust to their new home. I would use the iCalm in various ways as I have 3 dogs. I would use it for my youngest dog, who is a therapy dog, as a way to relax him to & from visits with the assisted living folks. I would use it for my 5 yr. old dog who has recently started getting axious whenever she hears thunder. She also gets anxious when a lot of people visit the house. I would also use it for our 12 yr. old dog in hopes that it (along with her meds) would soothe her when her arthritis bothers her. My Border Collie mix has enjoyed your music, but I’m a bad mommy and haven’t bought him an iCalm yet. 😉 So it would be great to win one for him! I often share your videos and always recommend your CDs and iCalms to my friends. I will be sharing again, for extra points! I have not tried this product yet. I have 3 rescue Chi’s and they really set each other off. Riding in the care is impossible and trying to calm them when someone enters my house is taxing! Oops! I forgot to say how it would help him and where I’d take it! We would use it at home and when we travel. He hates loud noises and gets nervous traveling, so it would be helpful anytime. We are still “old school”, using the CDs, but I am thinking about going to the iCalm. I do a lot of rescue foster work, usually hosting 2 or 3 fosters in addition to the 3 rescue dogs (Northern Breeds) we have adopted. I work with Northern Breeds, Akitas and Herding Breeds. I take in dogs that have emotional and/or behavioral problems. The Through A Dog’s Ear music has been an enormous help with the troubled dogs. My rescue foster dog Claire has been a nightmare! She is a nervous wreck all the time weather it is thunderstorms, fear of other dogs,wind,intimatidating neighbor,anxiety even Prozac can’t cure. Thunder shirt, homeopathic you name it has been tried. I told God, “I don’t need this dog.” He responded, ” But she needs you.” It increased my compassion to try harder to give her a better life. WE both need ICalm!!! I tried a sample Lisa shared with my Mom`s dog Mucki a couple of years ago and he liked it (so did we, and our cat at that time too). I have been caregiving for my Mom for several years without financial support, so I never got around to purchasing an iCalm, it just got delayed. Mucki has always been a sensitive soul, and since my Mom passed away a few months ago, he has become very depressed and extremely anxious about everything. Even getting him a new toy is seen for up to 20 minutes as a change he has trouble coping with. Besides being very stressed and blue, he just turned 8 years old and is in a dangerous phase of his life for becoming senior, so I was deeply saddened this week when he was diagnosed the beginning of a heart condition. The vet says it is partly age, but mostly stress and sorrow for my Mom`s loss. I am lucky that shortly before my Mom passed away we decided to adopt 2 senior cats (we ended with those 2 plus 2 younger ones that needed urgent fostering and that I adopted in the end), and Mucki has been adopted by one of the elder cats and became best friends with the other 3, so they prevent him from acting too depressed when I’m not around. But when I have to leave the house his stress raises and I think ICalm could help him deal better. He is such a sweet creature and he was so close to my Mom and used to be so joyful around her that I really wish I could make things easier for him. I would donate this to NorthStar Shih Tzu Rescue. They are foster based and their passion is in rehabilitating puppy mill dogs. These mill dogs, plus owner surrenders with separation anxiety, would benefit greatly from an ICalmDog. My wife and I are volunteers with Lowcountry Lab Rescue, a 501(C)(3) all volunteer non-profit in Charleston, SC. Our Labs come from a variety of high-risk situations across SC, such as kill shelters. Given their stressful histories, I expect that iCalm would help our dogs become more relaxed and so improve their prospects for adoption. I have a couple of the CDs but would love to have the iCalmDog. I have had a couple of foster dogs with anxiety issues and the CDs have helped. The iCalmDog would also be a blessing for transporting shelter dogs to and from the animal clinic which is about 30 minutes each way. Our shelter is small and in a very rural location. They have no van to transport. Myself and the Director do most of the transporting. My dog never snores before she started listening to her iCalm. Now she is so relaxed she not only snores at times but doesn’t feel the need to follow me around. If I won an iCalm I would donate it to my local shelter to help the pets relax giving them a better chance at adoption. Previously working at an animal hospital that had a kennel attached I know how stressed animals get in that environment. I would like to see them relax like Dharma does now and have a chance for a happy home and spoiled life. Don’t all pets deserve that!!!!! I have purchased the cd but do not have an idol. My mom also has an elderly dog so I have recommended this therapy to her as well. She purchased the iCalmDog and LOVES LOVES LOVES It! It has done wonders on the restless energies she has at night. I would love an additional iCalmdog. I got one intially for my adolescent (female), but my older males (3 & 12yr olds) are the ones I was surprised really soothingly settled right down with it. My pup (11mo old gsd) however is still developing various anxieties so I’d love another one just to take as a “security” on our solo outings together (i.e. Treats, clicker, iCalmdog)! I would love an additional iCalmdog. I got one intially for my adolescent (female), but my older males (3 & 12yr olds) are the ones I was surprised really soothingly settled right down with it. My pup (11mo old gsd) however is the still developing various anxieties so I’d love another one just to take as a “security” on our solo outings together (i.e. Treats, clicker, iCalmdog)! The original ICalm has served my fosters well through the years and I would love the opportunity to win a new one. I could then donate my original ICalm to The Sanctuary for Senior Dogs. I have three rescued Treeing Walker Coonhounds. All three had rough starts in life, and two were likely used for hunting. Those two are extremely fearful of loud noises – especially thunder, fireworks, loud equipment (like when the street department is picking up branches and putting them through the wood chipper). I’ve tried various things and would love the chance to try your iCalmDog for them! I am a Fear Free Certified Professional, and I use my cat and dog speakers in every exam room! I have one of each (cat/dog) and a a couple of non-iCalm loaded music speakers, and the iCalms work much better! Every time I come back to work after a day off I have to track down my speakers for my use! The cat one is usually in the cat room, and the dog one could be anywhere, from radiology, to surgery, to the treatment area. I would love to have more so I can always find mine when I need them! My dog has severe separation anxiety, but when I play the samples she calms almost immediately. That is almost a miracle as she does not calm for the myriad of things we have tried. Right now we cannot invest in an iCalm and, thus, would be grateful to win one to help our little one enjoy life and feel safe when she is alone. I always tell and show others (and I have lots of doggee parent friends) when products work! I love the Through A Dog’s Ear music. I have one that I use in my training classes. It has worked wonders for the fearful dogs in my classes. I have a10 year old rescue with bad separation anxiety that would love to have her own. She would benefit from it when I go to work. Thanks so much for this wonderful music! Interested in thunderstorm behavior modification as opposed to drugs to calm our dog. We )Whiskey and Lager) listen to our #iCalmDog everyday. We play it thru our Bluetooth speaker from iTunes. Our dog walker at first thought our human was just leaving classics music on until she stayed overnight with us and our human told her it’s our special music. We told our human that one for the road may make us less anxious in the vehicle so we hope to give her one for Mothers Day. I need this! Five out of my six dogs are traumatized by thunder, fireworks, gunshots etc. I would have bought the CDs or the iCalm years ago if I could have afforded it, and I still can’t. But I do recommend your program often! Rec’d my iCalm while my dog was pregnant. Played it for her while I was out & she was usually sleeping when I would get home. Also played it during cuddle time at night & she seemed much more relaxed! I have two anxious greyhounds, I would love to try this product! I foster for the local municipal shelter and specialize in timids. I would use this for the vet, groomer and any other place I take my two foster failures and current foster. This would be very helpful in achieving socialization without fear. We also have a timid play group at our shelter that I could bring this to! My ten-year-old dog has a horrible fear of thunderstorms, fireworks and loud noises in general. He’s 50lbs and tries to climb my head or melt into a corner – neither of which he does successfully. It just leaves me in pain, him shaking and whining, and both of us sleepless. We’ve tried thundershirts, pills, oils and drops. Nothing works. Would love to give this a try. I would love an iCalm. I have a fearful little girl that we’re teaching the relaxation protocol with the Through a Dog’s Ear music CDs. We’re getting ready to start taking it to new environment and an iCalm would be so nice to carry along instead of a CD player. And, I think it would do all of my dogs a world of good at agility trials and conformation shows. Thanks for all of your wonderful comments. iCalmDog contest winners announced on the morning of 5/11. The I Calm is used daily. It is one of the first issued,and I only have one music selection unable to find new selections for the old version. I have the CD’s & used them to attempt to help my senior greyhound to calm down during thunderstorms. I don’t know if she began to associate the music with storms, but if I play the music with the thunder claps in the background during normal, sunny days she gets agitated & starts to pant & pace. She also likes to hide on the stairway landing, so it’s difficult to play CD’s so she’ll hear it there. An iCalm would likely work much better & I can move it from room to room.